Seattle 2 is the standard -- truly epic show. But while my husband thought Seattle 1 was not-quite what he expected, I thought it was a lovely, purposeful show. Seattle 1 had a lot of heart, the setlist was very thoughtfully put together. It was a show about home, about heart, about family -- and about people who don't have homes (the whole reason for the Home Shows, after all). There was a big focus on children, and Ed's language was the cleanest I've heard in -- ever, LOL. 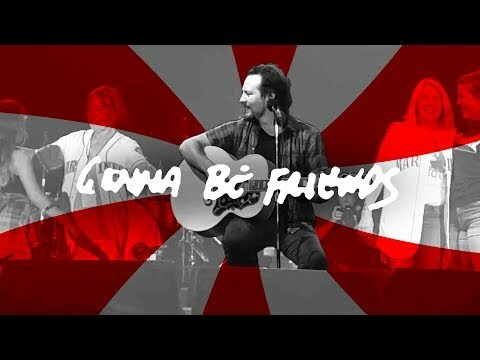 "Funny" observation -- after all these years in the spotlight, Ed's still nervous when speaking from the heart. He likes to spin a good yarn and to rant about politics, but when it comes to stories that really move him personally -- well, just watch his hands. He was wringing his hands the whole time he was telling the story about the inspiration for "Even Flow." Wish I could find a way to slow down time. 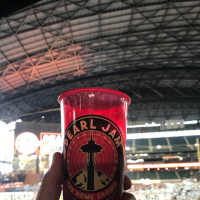 Such a great time and show at Safeco, thanks Pearl Jam, Seattle and Ten Club for the great seats! My third show and my wife's second, both with me. 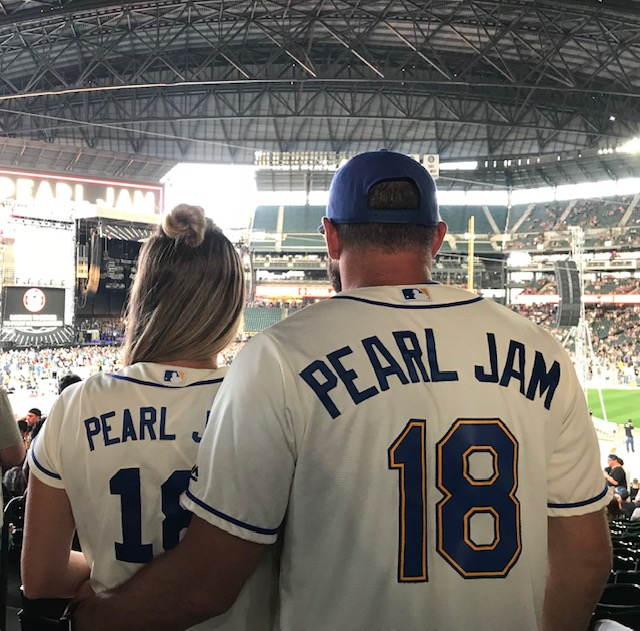 I surprised her with custom Mariners Pearl Jam jersey's to wear to the show, we had an amazing time and despite if it's your first show or your 100th, each one is different and special in different ways to each person. Just glad they are still bringing it so we can all enjoy it!